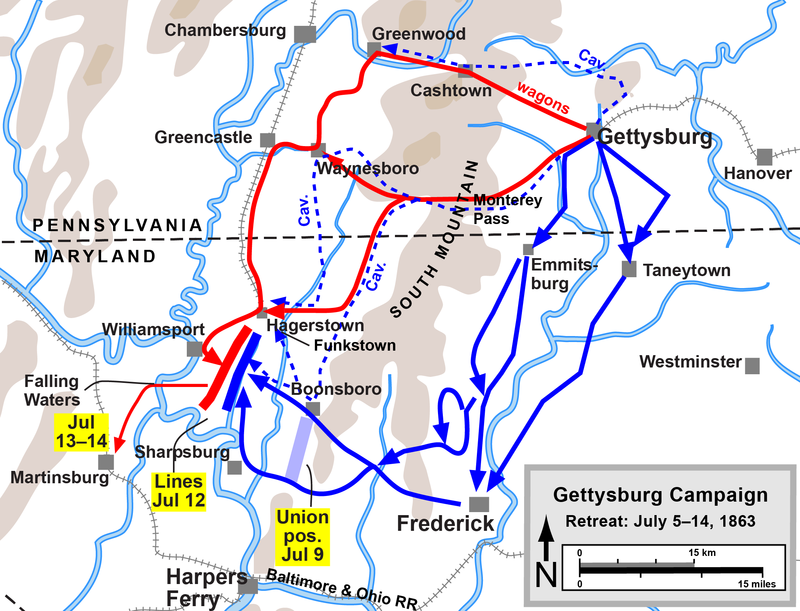 René talked about the massive efforts of General Robert Lee and his command as they sought to move people, equipment, and scavenged supplies back to Virginia after being defeated at Gettysburg. More than 57 miles of wagons and ambulance trains and tens of thousands of livestock accompanied the army back to Virginia. The adverse conditions of the driving rain and muddy quagmires were described as General Meade attempted to attack the trains. Battles were fought at South Mountain, Hagerstown, and Williamsport, but Lee’s skillful use of terrain and defenses allowed him to escape. Washington’s criticism of Gen. Meade was also discussed. Meade’s failure to destroy the Army of Northern Virginia prolonged the war for two more years.